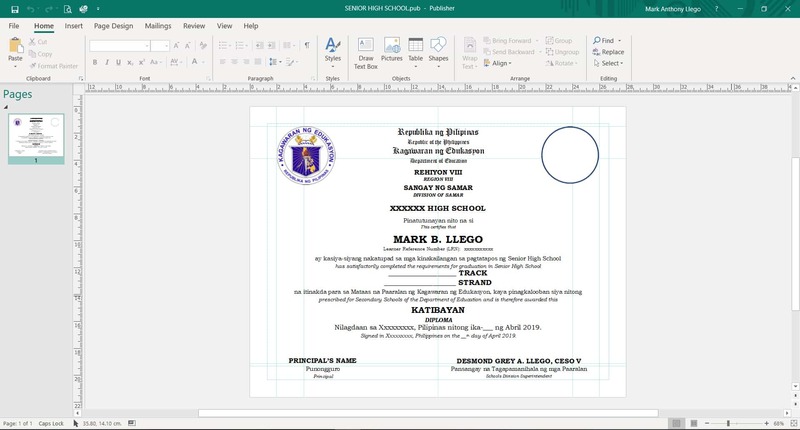 The 2019 Graduation Diploma and Certificate templates are from the Central office. There shall be no other formats or templates from the field unless clearance or permission is granted by the Central Office. The 2019 graduation rites shall focus on the theme: Pagkakaiba-iba: Kalidad na Edukasyon para sa Lahat (Unity in Diversity: Quality Education for All). 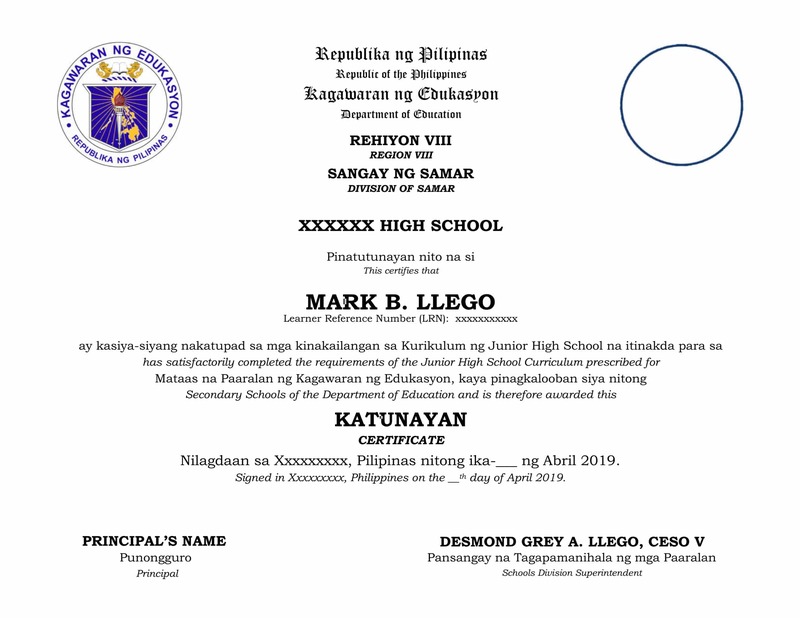 In line with the government’s austerity program, public schools are NOT ALLOWED to collect any graduation fees or any kind of contributions for graduation rites. However, school heads may charge from the MOOE necessary and reasonable graduation expenses only. Graduation rites should be simple but meaningful to encourage civil rights, a sense of community, and personal responsibility. 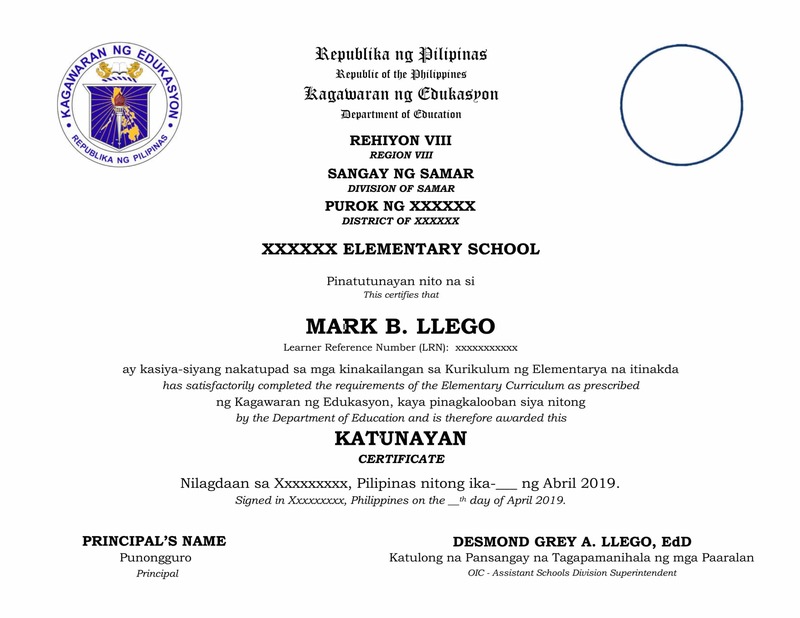 While these rites mark a milestone in the life of the learners, these should be conducted without excessive spending, extravagant attire or extraordinary venue. It must be taken into account that wearing of the Toga is not necessary. DepEd suggests that the children can be in their school uniform during the ceremony. Likewise, lavish completion or graduation balls are not recommended. 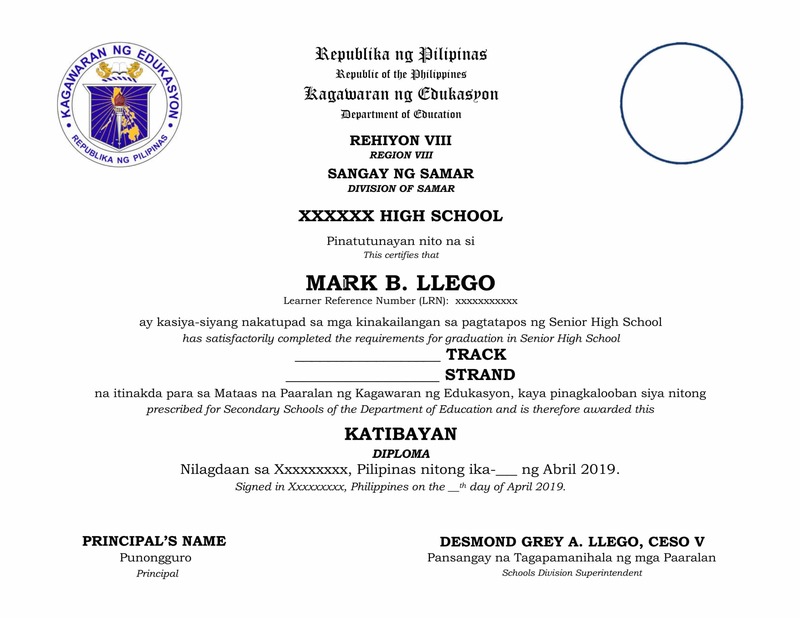 Schedule for Moving Up or Completion of Kindergarten and Grade 10 shall be at the discretion of the school heads provided that it is done within April 1-5, 2019. Strict compliance with DepEd Order No. 48, s. 2018 entitled Prohibition of Electioneering and Partsian Political Activity in compliance with Article IX-B, Section 2(b), paragraph 4 of the 1987 Constitution that states that no officer or employee in the civil service shall engage, directly or indirectly, in any electioneering or partisan political campaign.